After the initial contact, we will arrange a visit to discuss your requirements. We will spend time with you, discussing your ideas or plans for the pond or water feature you require. A design can be produced, incorporating required features into the existing characteristics of the intended site. Following this visit we will develop a quotation, that will detail the materials to be used, tasks to be carried out, price and terms and conditions. Planting schemes can be developed, the plants selected, supplied and planted as required. To get the most from your pond, regular care and maintenance is recommended. 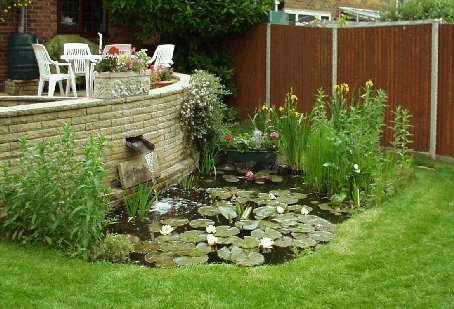 Keeping your pond in excellent condition will provide an environment for healthy fish and plants, creating a feature you want to share with your friends and family. Autumn Gardens offer a service to suit your needs, from annual maintenance contracts, pond cleaning on request and trouble shooting services. We will agree a maintenance schedule to fit your needs. 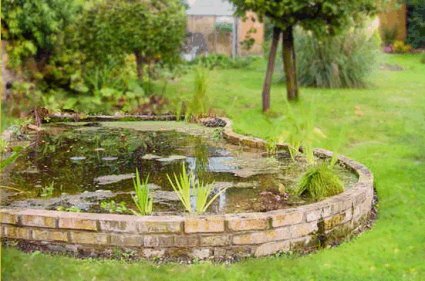 Typically we will visit in early spring to prepare your pond for the summer months, then return in the autumn to prepare the pond for the winter months. Tidy area surrounding the pond including planting if required. A small team of professional landscapers, offering a full range of skills to meet all your hard and soft landscaping requirement. Autumn Gardens have developed a reputation for reliability, quality and customer care resulting in our appointment to Marshall's Register of Approved Landscape Contractors and Driveway Installers. This enables us to offer a 10-year guarantee for Marshall's products used and 5-years labour guarantee on our work, providing the assurance and peace of mind that an insurance backed leading manufacture’s guarantee can offer.